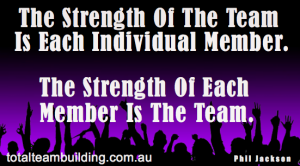 Another year working with the group from Woodside Energy and another fantastic program. 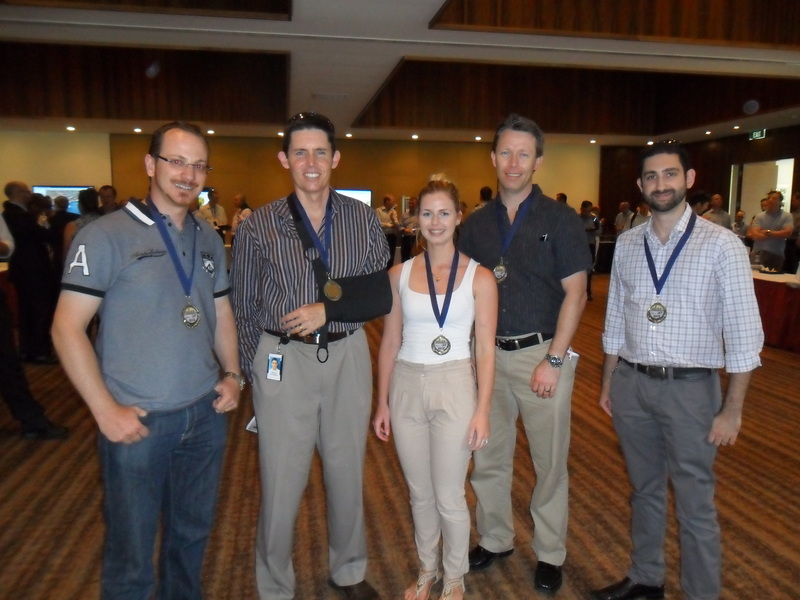 This year saw 35 teams participate in our Rat Race around the grounds of the University Club of Western Australia. Visiting 8 “Hot Spots” teams were racing to be the team to cross the finish line in the fastest possible time. It was a fast and furious 1 hour program which had teams compete in a number of games and solve some puzzling questions. It was a tight finish with the first team to cross the line incurring a time penalty due to an incorrect answer which resulted in Team Number 9 who crossed the line third becoming victorious on the day with a Net Finish Time of: 12:05:56. 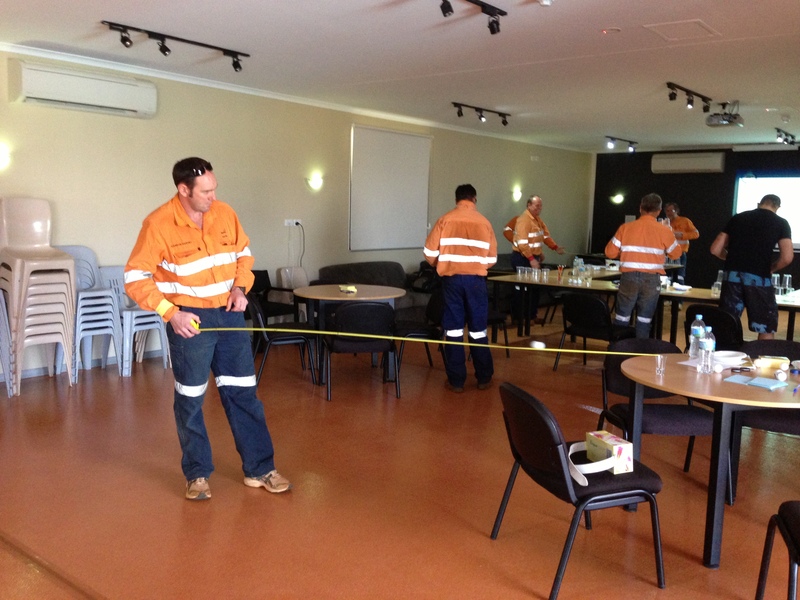 Thanks very much to the team from BHP Billiton for inviting us up to Yandi minesite to facilitate their Win it in a Minute program this week. Great fun was had by all participants as they faced off against each other to complete their challenge within 60 seconds. 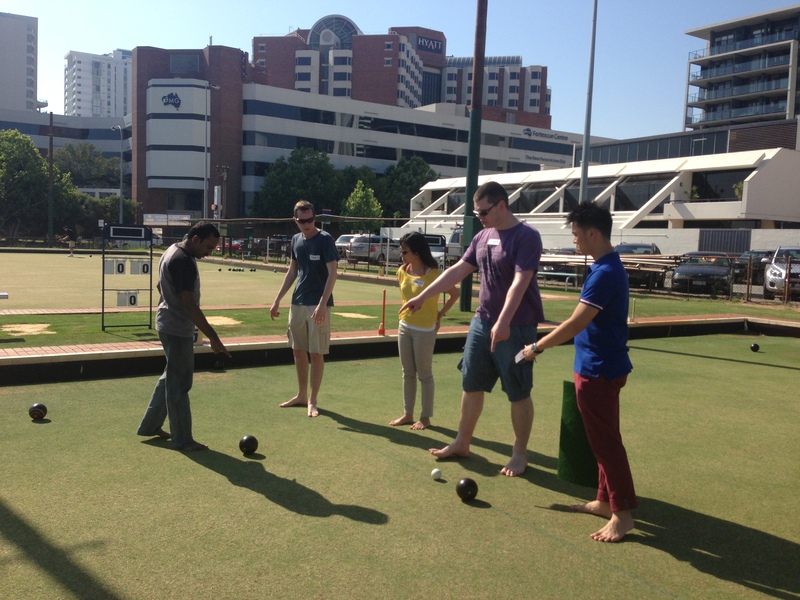 A relaxing afternoon was had by the team from Orbium Group as they participated in their Barefoot Bowls program last week during their stay in Perth. What a fantastic way to spend an afternoon with your team having a social game of bowls. This program would be a great idea for your upcoming XMAS party. 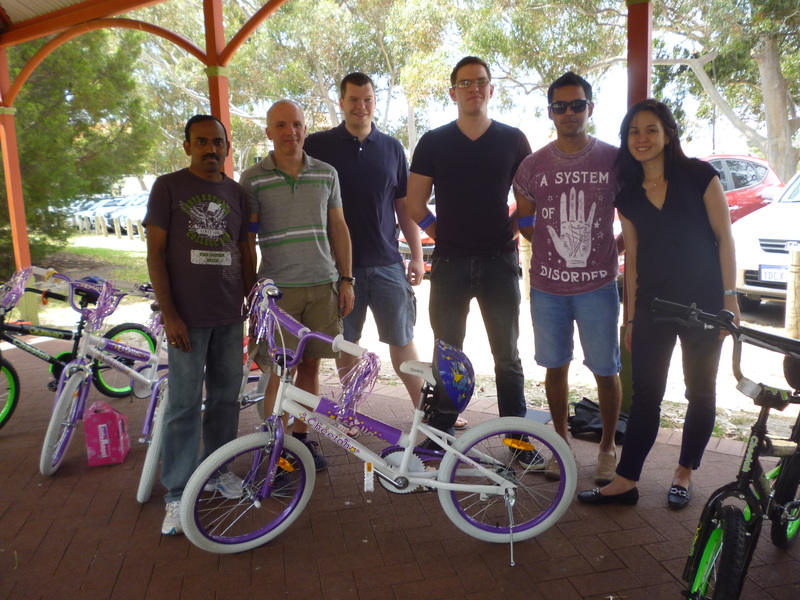 It was great to have the team from Orbium Group visit us here in Perth last week and take part in one of our Charity Bike Build programs. Building and donating 6 bikes to the lucky kids from Clayton View Primary School was very much appreciated. It was a close finish, but the “Light Blue” team managed to have the best built bike on the day and earn the most points across the days activities.